If you didn't already know, Christmas is by far my favourite season! 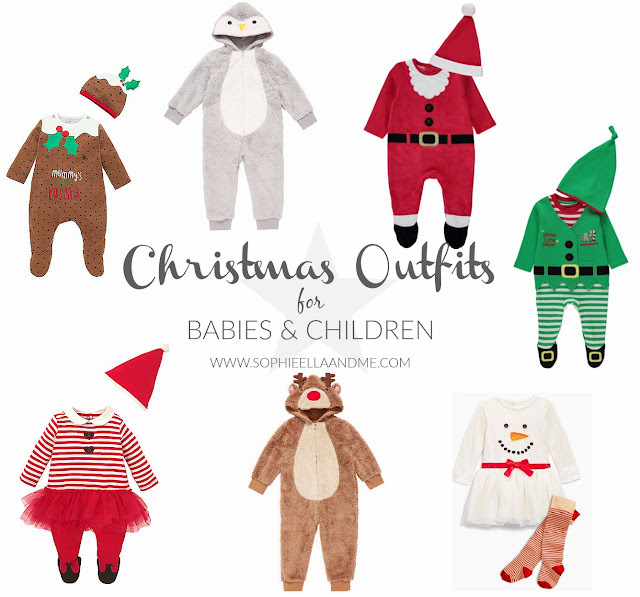 I wanted to share a few Christmas outfits for babies and children as it just makes Christmas a bit more fun! I mean, when else can you get away with dressing your little one as an elf or a penguin?! The ones above are my favourite and there are so many different characters to choose from! They are various prices to suit all budgets too. Are you planning on dressing your little ones up for Christmas? I'm all for Christmas fancy dress and will be joining you. Very tempted to get that elf outfit from Asda! what gorgeous outfits, I love the penguin one the most! So cute. The only thing I bought for Chloe is a peppa pig outfit for Xmas and her Xmas pyjamas. Such cute outifts. I loved dressing my daughter up for Christmas! My favourite was as a christmas pudding!